Until recently I had access to a copy of Maya, but unfortunately it had expired. I occasionally like to make 3D models of objects, and until now have been using old versions of CAD programs. 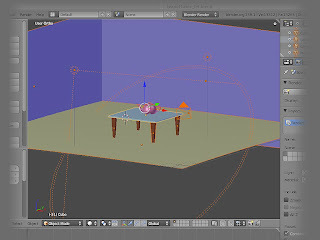 With my access to Maya gone I decided to try the open source 3D program Blender. I had looked at it in the past, and found the interface difficult to use. Additionally the program was very buggy and crashed a lot. That has all changed with this newer version. Version 2.58.1 is awesome and very easy to use. 3D programs in general are very deep and difficult to learn, but with the help of the on line tutorial videos I was able to get results very quickly. 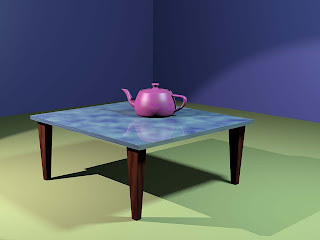 It was very easy to build a table and room with lighting for my Utah Teapot. 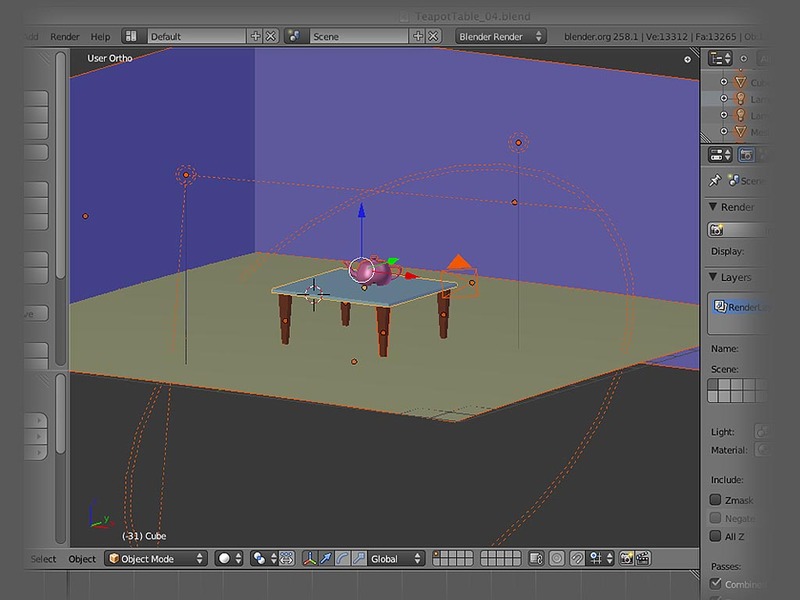 I can highly recommend Blender as a free and easy way for anyone to experiment in 3D modeling. 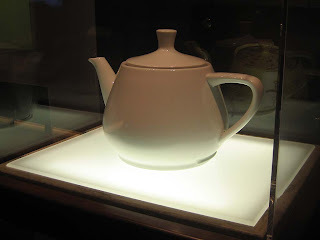 Who remembers the Utah Teapot? I was lucky enough to be in Mountain View with enough time to burn to see the Computer History Museum. It was wonderful, containing everything from an IMP from the earliest days of the DARPA Internet to large portions of ENIAC. One of the unexpected treats was the original Utah Teapot used by Martin Newell to create one of the most iconic 3D models that is used by just about anybody who even has a passing interest in 3D modeling. 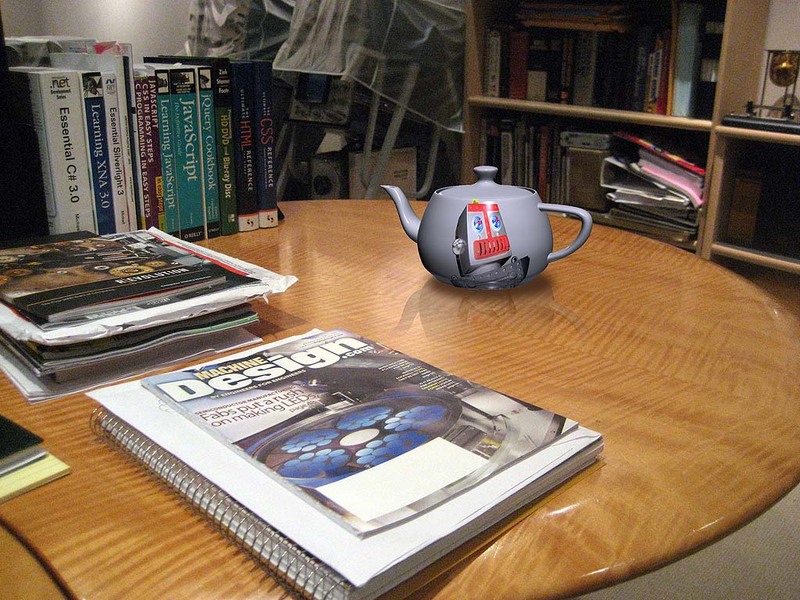 After seeing the original I was inspired to create and place a Utah Teapot on my desk. 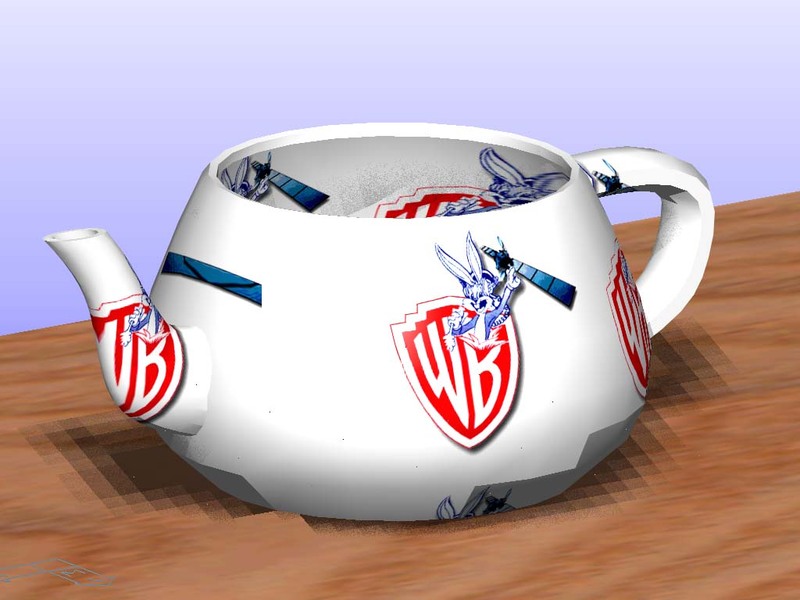 Rendering the teapot is much easier now than it has ever been. This image was created with a Wave Front object found on the web, a picture of my desk, and Photoshop CS4. After doing a little reading it’s no surprise to me that the teapot makes a few cameo appearances. Most notably in the Pixar movie ‘Toy Story’, and in the NT release of the ‘Pipes’ screen saver. Here are a couple of great reads telling the story of the Utah Teapot.